March 2014 – I'm sozoed! Today I sit and wonder about all the commotion this Noah movie directed by Darren Aronofsky has stirred amongst you my brothers and sisters. Then I get the sobering news from a young friend of mine whose friend was thrown out of his house by his parents and then shortly after killed himself. I think about this and I think about a movie that challenges what we have come to understand about Noah in the Bible. I have read many articles condemning the movie and many suggesting the opposite. I think about all the energy put into this film Producers, investors, actors, crew members, marketeers, movie goers, columnists, . . . the list goes on and on. Yet a mother, a father is missing their son and filled with sorrow. The movie holds little if any weight in their minds at this time. Then I pause . . .
All this is about people. People are needed to make a movie. People are needed to watch a movie. People are needed to have ideals. People are needed to throw people out into the streets. People are needed to kill themselves. When the dust settles from the whirl winds of ideology, theology, yourology, myology, allology people will always be there holding what is left from all these applied “ologies”. It’s about people. Are these “understandings” more important to you then people? Sure truth needs to be expressed but not done in Love what resounds? What is heard? What shattered remnants of life is further divided? Don’t go watch the movie. Go watch the movie. Either way, Love the person who is not watching the movie and who is watching the movie. You are a vessel of the Creator of the universe. He lives in you. See that person like Jesus sees. Movie or no movie. Release His Love and change the world! You never know whose life will be changed. 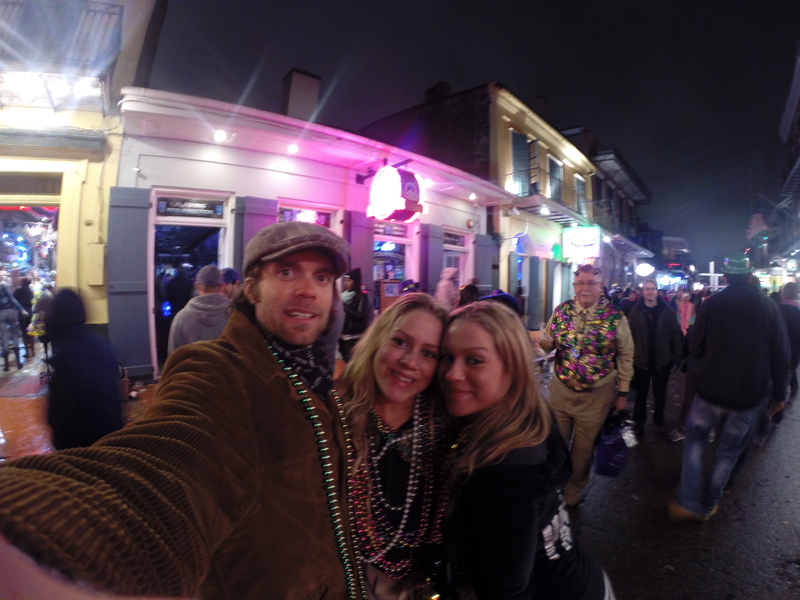 Before I dive into the experience of Mardi Gras 2014 I must explain why I went. It started very early this year in January. I was in California visiting my family. This trip was one filled with many vivid and detailed dreams. One of which I knew the meaning right away and it impacted me greatly. This is that dream . . . I found myself at a marina with sail boats, small yachts and other water crafts you would typically find docked at a marina. I was running. I was running with a flower suitcase under one arm down a fairly long dock with boats on either side. I was running to the very end where a very large yacht had just embarked on its journey. Like this but a little smaller with the ability to have sails. Finally I reached the end of the dock and jumped with all my might over the turbulent waters stirred by the moving craft and land on the back deck of the craft. As I gathered my wits and realize what I have just done. I just embarked on a grand and marvelous journey. I was quickly greeted by JoDee Scholz. She quickly expressed her enthusiasm that I had decided to join them on this adventure. She also explained that any later I would have missed the ride. I agreed and was very thankful for the opportunity to board the boat and that I had not landed in the cold turbulent waters of the marina. So off I went rearranging everything. Large bags, small bags, square bags, rectangle bags. All had a place. A specific place. There was just enough room to allow my flowery bag to fit into a perfect slot. I shut the door and explored the belly of the yacht for a little while. I noticed different cabins, a living quarter and stairs. I took the stairs up to the deck and then another flight to where the captain was steering the ship. Who do think it was? JoDee’s husband John Scholz. He was the captain of the yacht. Imagine that. This was a pretty profound statement to me that I’ll explain later. Now the adventure was just beginning. As John maneuvered the yacht out of the marina he explained to me the various characteristics of the area. He obviously knew the marina very well. He mentioned many things that I don’t remember all to well but a few stuck out. One was that “We need to be careful as we exit the marina and to keep a watchful eye for other water craft that skirt and dart about. These crafts don’t always pay attention and think they can beat you to the destination.” As we passed docked boats of all shapes and sizes on either side of the yacht it reminded me a little bit like a busy parking lot. You had to be alert. You didn’t know which craft would pop out. After finally exiting the many docks of ships and water vessels we started heading out of the marina. On the port side, the left side of the yacht, we followed the natural terrain of jagged cliffs of black volcanic rock blanketed with a very vibrant green grass. Vibrant like when all the colors “pop” when the sun comes out after a soaking gentle rain. In the distance was a lighthouse and some various buildings that resembled a small town. Similar to these cliffs with more jagged rocks and less white water. Jagged like this but with very vivid green grass blanketing the rocks. John explained that you didn’t want to get to close to the cliffs because more rocks lay under the water close to the surface. “Trust me on this. You can’t see ’em but they are there I assure you! I have been doing this for a long time and know where each one lies. Many a novice captain has prematurely ended their journey on these hidden rocks.” Then he said, “We are almost there!” I said, “Were?”. 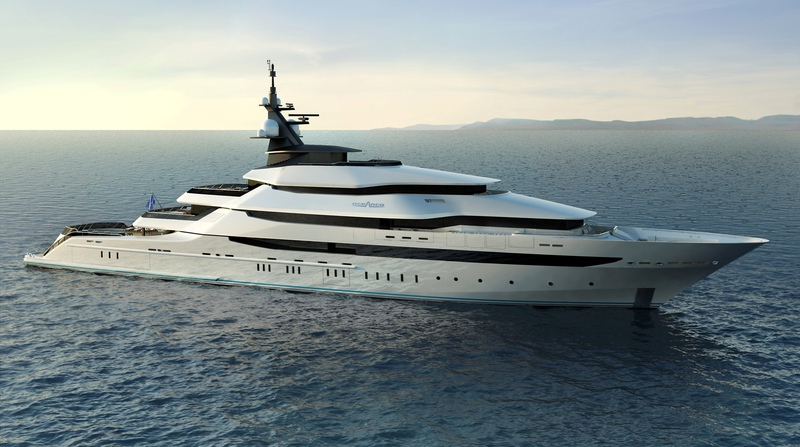 He pointed to this large water fall starboard bow, towards the front right side of the yacht. My eyes widened as I saw this large waterfall pouring down into the marina from a huge retaining wall. Then I noticed it was a huge dam and the waterfall was somewhat a spill way but instead of flowing from the bottom like every dam I have ever seen it was pouring from the top down into the marina. I was a bit perplexed. This went against everything I “naturally” understood. 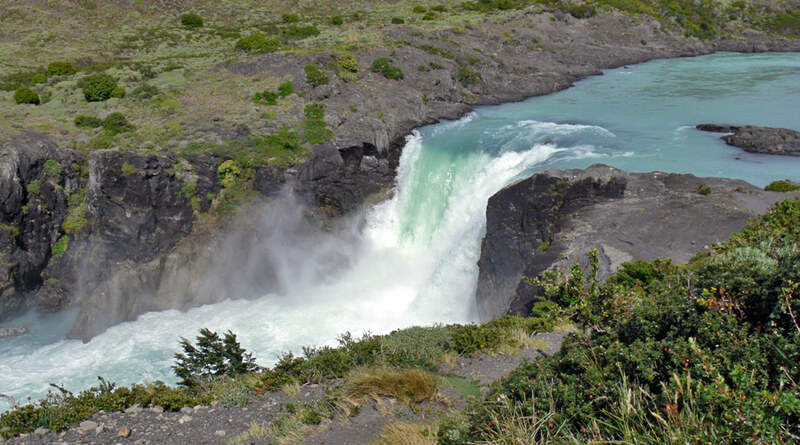 I had never thought about a large yacht going up a giant waterfall, but oddly enough it seemed all too “natural” . . . “super natural.” I was nervous but had a peace with it. The spirit is strong but the flesh is weak. John positioned the yacht for waterfall entry. He alerted to all aboard to brace themselves for waterfall entrance operations. Apparently everyone knew what that meant except for me. John saw my look of curiosity and quickly explained that I should hold on to something and lock myself in. So I did. Then he began at a slow but ever accelerating pace toward the waterfall at a distance directly in front of us. A wild child like excitement came over him. There wasn’t an ounce of fear or anxiety in his countenance. He was in his element. He was doing what he was created to do. You could see it. It was so powerful it changed the atmosphere. My apprehension and worry disappeared. I was able to accept the situation with complete bliss. I too became excited. A child like energy came over me and I found myself joining John yelling out what seemed like a battle cry! We were going full speed ahead. Any slight variation would end in disaster. Faster and faster we went. Then . . . BAM! We hit the waterfall and quickly orientated vertically. White water was splashing all around but oddly enough we were not getting soaked. Water flew overhead, port side and starboard side. Like a torpedo we shot up the waterfall. John was laughing so heartily, so loudly it flowed so perfectly with the sounds of water rushing by. This seemed to go on for hours then . . . Suddenly sky appeared in front of the ships bow as we remained perpendicular for a few seconds when we all tilted down into the bay and a huge splash was heard with water spraying out both sides of the yacht. Before us lay a peaceful bay filled with gently lapping water. Further out laid the open sea. The bay was very wide with it’s shores gracefully hugging the very large body of water we had just entered. 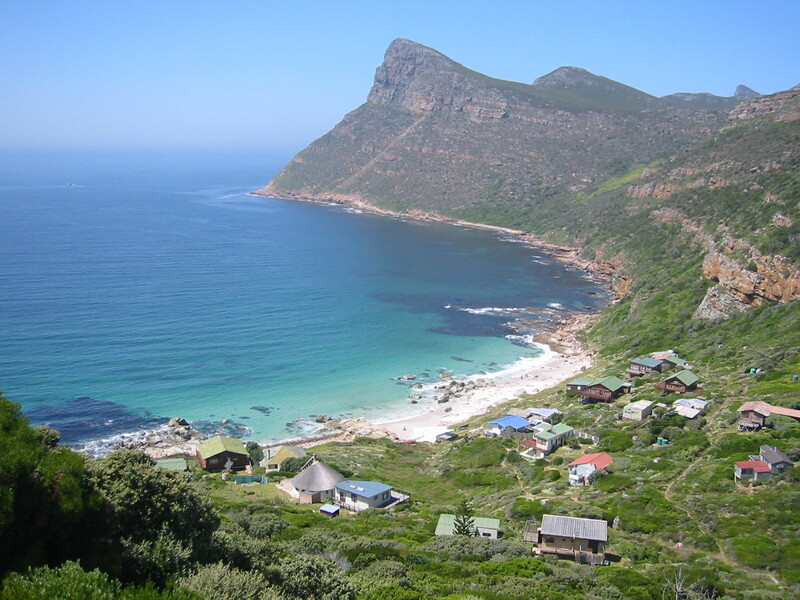 The shores were longer and far reaching but similar to this bay. The bay was a time of relaxation and rejuvenation. All the passengers and crew on the yacht grew closer and more unified during this time. This time lasted for about half a day. It was off to the sea. John put the yacht into motion and we departed the bay and entered the wild of the ocean. There was an excitement in the air. Everyone was eager to engage in the adventure that lay ahead. The sky was for the most part clear with various clouds floating here and there making it an enjoyable journey so far. All in all it seemed it was going to be a peaceful trip. As the hours past deeper and deeper we ventured into the ocean. I was inside one of the halls of the yacht when I felt the first rocking. Then another and another. I quickly moved toward the stern or back of the yacht were I had originally entered the ship. Exiting onto the deck my face was pelted with a heavy rain and a cold wind. Waves were crashing into the yacht spilling onto the deck causing a current of commotion. I instinctually grabbed ringing to tie down the sails. Yeah. The yacht had sails oddly enough. While entangled in the rigging I heard it. Over the roaring storm I heard it. A soft but commanding voice. It was the sound of a woman calling my name. “Daniel! . . . Daniel! . . . Daniel! . . . Daniel! . . . GET the KEYS!! !” Jolted back into the now I look left. I look right. I look around and looked up and on mid deck JoDee was calling my name. Then it dawns on me what she was instructing me to do. So I scan the deck for the keys. Amazingly a mist all the foaming water and crash waves I spot the keys. It was quickly sliding aft towards the turbulent sea. Toward an opening in the railing of the stern of the ship. Holding on to the rigging and with all my might I stretched out to grab the keys with my left foot. Noticing I was wearing my 5-finger shoes I knew now I could grasp the keys. Clenching down, my toes wrapped around the keys. I brought it to my hand and secured it. I rush back into the yacht up the stairs to JoDee. I hand her the keys. She thanks me greatly and says, “I am so glad you were able to get those keys. If we lost those we would be in a great world of hurt.” I don’t quite remember what the keys were meant to specifically unlock but it was a closet or door of some sort that held something very valuable. Something we needed access to for our journey. At this time we were 1 week into a 2 week trip in Southern California. The whole time after the dream in SoCal I was saying to myself I need to contact John, I need to contact John . . . which I never did. So the first Saturday back, I believe it was January 4th, John and I met up after church. He was going to talk to me about Mardi Gras and before he could get more than a sentence out I interrupted and told him, “I am going to Mardi Gras and this is why!” So I told him the dream. He was deeply moved and very excited and explained that I needed to come to a meeting the coming Monday. As God’s perfect timing would have it the last meeting to sign up was the following Monday, January 6th. John Scholz is the leader of the Mardi Gras Ministry. He has been doing it for over 30 years. His wife joined him later on. I believe the yacht is his ministry and that would explain why he was the captain. Since he has been doing it for such a long time experience and Holy Spirit have revealed to him how to move fluidly with other ministries and around or through various obstacles like submerged rocks and jagged rocky cliffs. I think my jumping on to the yacht while the yacht was in motion was me deciding last minute to join the ministry to Mardi Gras. In my next post I will do my best in explaining what I think certain aspects of the dream is about as well as include some interpretations from my friends! I will also post about many of my encounters with the Mardi Gras goers! Stand with us to help #SaveSaeed – Lets Act Now! In this microwave world we want things and we want them now…and things we have to patiently toil for are often discarded or ignored. With the many concerns we all have, it’s easy to “grow weary in well doing”. We have an opportunity in front of us to make a real difference in an ongoing tragedy…but we need to choose to act, and act in faith despite the length of the trial.. The Iranian government has a tradition of releasing some political prisoners as part of the celebration of the Iranian New Year called Nowruz. We want to create another social media storm this Wednesday calling on anyone who can influence the Iranian government to release Pastor Saeed Abedini. The last social media campaign was extremely effective in raising awareness and compelling our government to take real actions to procure his freedom. This might be the one that wins it. It won’t happen without your help. These campaigns rely on each individual joining an ever growing choir to be effective. Saeeds favorite color is yellow…so we want to turn the internet yellow this week. Starting today, please add one of these yellow highlighted photos as your profile pic on Facebook. On Wednesday use these pre set lists to tweet and post your concerns on Twitter and Facebook. If you haven’t “liked” the Free Saeed Facebook page do so now and invite your friends…we need to be 10,000 strong by Wednesday. Pray…that this campaign will be successful and the Lord will use it along with all the other efforts that have gone before to Free Saeed.